While climbing is, first and foremost, a mental and technical skill sport, long-term improvement—and pursuing your genetic potential—demands getting stronger in a number of climbing specific ways. 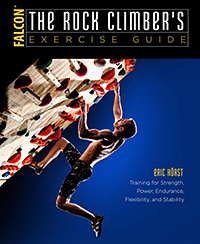 Numerous research studies have confirmed that elite climbers, compared with non-elites, have higher grip-strength-to-mass ratio, greater forearm endurance, and a higher rate of force development in the finger flexors. Not surprisingly, then, the fingerboard has become the single most important piece of training equipment a climber can own. 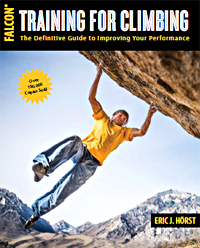 While actual climbing must always comprise the backbone of an effective training program (skill first! ), the act of climbing is not the most effective way to develop grip strength. The Zlagboard training system with smartphone App integration. Enter the fingerboard (or “hangboard”, if you prefer). Since its advent in the mid-1980s, the fingerboard has become the most used type of training equipment among avid climbers—and for good reason: brief, high-intensity straight-armed hangs are the single most effective isolation exercise a climber can do. What’s more, the fingerboard is economical, and it can be mounted in just about any apartment or home. If you are an avid climber and desirous of the higher grades, then a fingerboard is the second best investment you can make in your future climbing ability (#1 is to join a climbing gym). For an individual without access to a climbing gym, then, owning a fingerboard is essential! The obvious strong points of the fingerboard are its ease of access and the ability to isolate a variety of grip positions in a highly specific way. While not appropriate for true beginners, experienced climbers can progressively add weight to their body to train maximum grip strength with a series of brief, high-intensity hangs. The strategy for training strength-endurance is to do a higher number of less-intense hangs (with body weight or less). To get the most out of your fingerboard training sessions, it’s important to follow a well-designed program rather than ad lib a workout of “hanging a bunch” or simply “hanging to total failure.” These approaches will provide limited gains and might even get you injured. The best approach for increasing your maximum grip strength is a series of brief high-intensity hangs with extensive rest between each hang. While it might not seem like a good workout, doing 7- to 10-second hangs with one to three minutes rest in between is a very effective program for building maximum grip strength (as long as the hangs are difficult, via small holds or by adding weight). Do three to five hangs per grip position–train all the primary grips this way. For endurance you want to do somewhat longer hangs, but with less resistance and shorter rest intervals. For example, alternating 20-second hangs with 20- to 40-second rests for a total of two or four minutes will gradually pump you up. 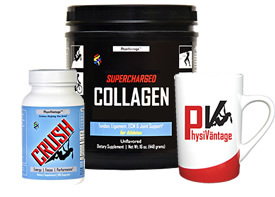 There are numerous other protocols for training strength and endurance…which I’ll detail in future articles. It’s essential to train with good hangboard technique: Maintain moderate tension throughout your shoulders and upper torso by engaging your scapular stabilizers and maintaining a slight bend in your arms; relax from the hips down and avoid lifting your knees; most important, do not relax your shoulders and allow them to elevate into an extreme shrug position nearer your ears. Also, it’s vital to do preparatory and concurrent training of the scapular stabilizers and rotator cuff muscles. A word of caution: misuse of the fingerboard has contributed to finger (tendon) and shoulder injuries in countless climbers. Intensive fingerboard training should be limited to just two days per week—three at most, if you are doing no other climbing—and, ideally, as a supplement to climbing rather than a replacement for actual climbing. A gradual warm up is essential beforehand, including a general activity to elevate heart rate, followed by various mobility exercises and some self-massage of the fingers and forearms. Complete your warm-up with some pull-ups on large holds. It’s also a good idea to conclude your fingerboard training with a few sets of the antagonist training of the wrist stabilizers. Alex Megos is one of the top-ranked in Zlagboard’s hang-time contest. 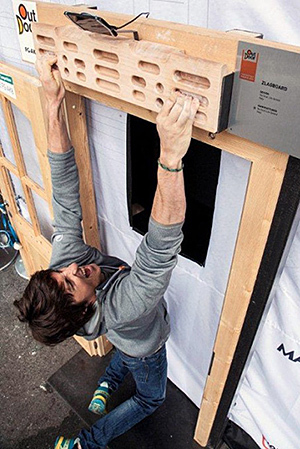 WHAT’S THE BEST HANGBOARD FOR YOU? The hangboard you use is secondary to the training protocol and the quality of your overall training-for-climbing program. Really, you could drill finger pockets into a piece of 2×10 and screw on a few ¾” wood edges, and you’d have a decent training board (I know, because that’s how I made my first hangboard in the mid 1980s!). Today, however, there are several excellent plastic and wood handboards on the market, so for most people buying a hangboard or two (or three or four!) is the way to go. In my home gym, I have more than a dozen hangboards (purchased or sent to me for testing over the last 20 years; I’ve also designed two hangboards for NICROS, the NexGen and V10), and I still enjoy using all of them! 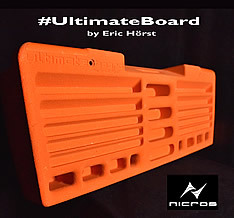 Most interesting and novel is the Zlagboard, perhaps the world’s most advanced training-for-climbing platform. 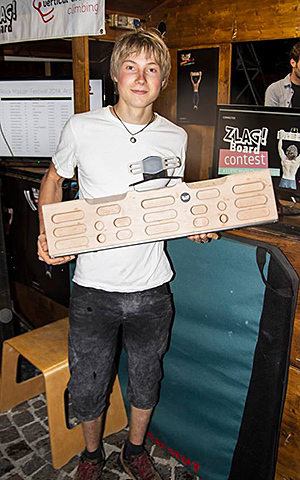 Zlagboard’s patented (and award-winning) design marries smartphone App technology to a classic wooden fingerboard design via a weight-triggered mechanism that precisely tracks the duration of your every hang (and rest), number of pull-up, and lock-off interval. No more hand-written schedules, spreadsheets, stop watches, or starting and stopping smartphone timing Apps with chalked hands–the Zlagboard system does it all for you! The Zlagboard smartphone App offers more than a dozen different professionally designed programs (developed by the pro coaches that train rock stars such as Adam Ondra and Alex Megos). 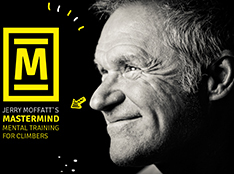 Gone of the days of not knowing how to best structure and execute an effective hangboard training program, as the Zlagboard App puts the programs from some of the world’s top coaches to your fingertips! Learn more about Zlagboard at: www.ZlagboardUSA.com. Check back for future articles detailing specific training protocols for developing maximum grip strength, strength/power-endurance, and contact strength (although a campus training is the best tool for increasing rate of force development in the fingers…more on this, too, in future articles! ).